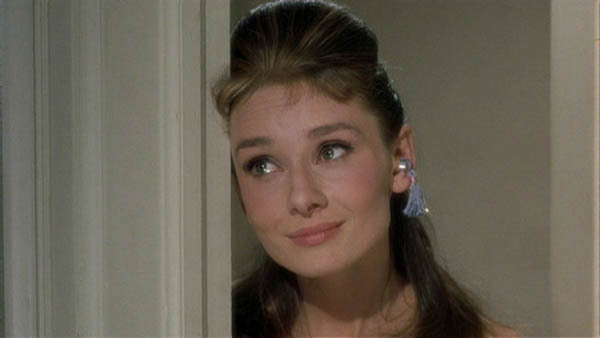 Somewhere in the back of my mind I knew that Audrey Hepburn’s character was named Holly Golightly, but elsewhere I assumed she was named Tiffany. The jewelry store never occurred to me. I read that Holly is a “call girl” and that she’s a “socialite”. I prefer the latter. 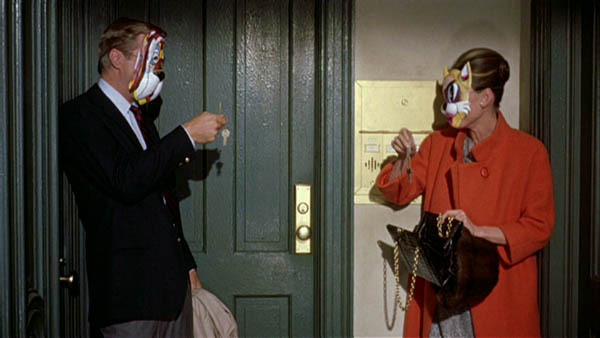 Audrey (who I barely remember from Charade) runs around with a buncha guys looking for a nice rich man to marry, but she sorta falls for boring lumpy novelist George Peppard (Hannibal from the A-Team!). He falls harder for her, for obvious reasons, and their relationship seems like an excuse for us to get to watch her for two hours, which is worth doing anyway. Patricia Neal (Cookie in Cookie’s Fortune, and herself in Bright Leaves) is a neighbor, Buddy Ebsen (Barnaby Jones and Jed Clampett!) 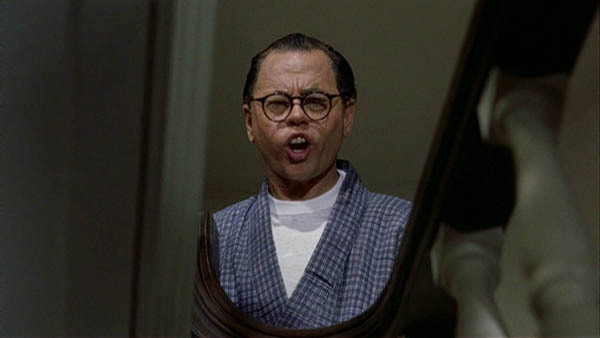 is Holly’s ex-husband, and Andy “Mickey Rooney” Hardy plays a surprisingly horrible Japanese caricature of an upstairs neighbor (“Miss Goriightryyy!!”). 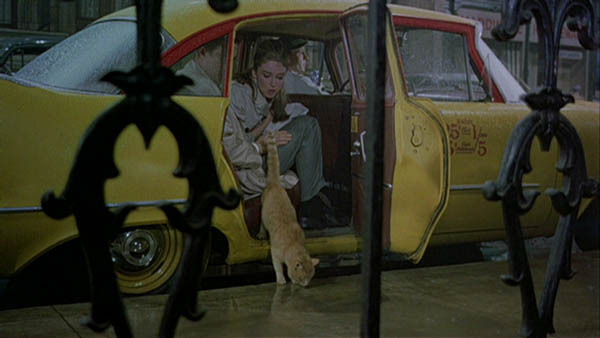 Audrey’s cat “Cat” is in almost every scene. Blake “Pink Panther / Peter Gunn” Edwards directs from a Truman Capote story (my second, after The Innocents (also from ’61)). A good movie (when Rooney’s not onscreen), but not a romantic comedy like I thought it’d be… more of a drama / character exploration. Holly has a hidden past as a rural wife and homemaker with a dear brother who’s off at war (she renames Peppard “Fred” after her brother) and she doesn’t do relationships very well. It sometimes seems like a story of a modern liberated woman, but then Peppard will go into his spiel about how she belongs to him and people need to be together, and is he proven right at the end?